CentralTrak, the UTDallas artists' residency program has been fortunate enough to host the international artists Vinh Nguyen and Anh Tran for the past six months. Focused artistic production and an intense work ethic are shared by this married couple. Vinh and Anh are equally serious about their studio practice and their cultural ambassadorship - both artists have a history of hosting ambitious, international art exhibitions and conferences. 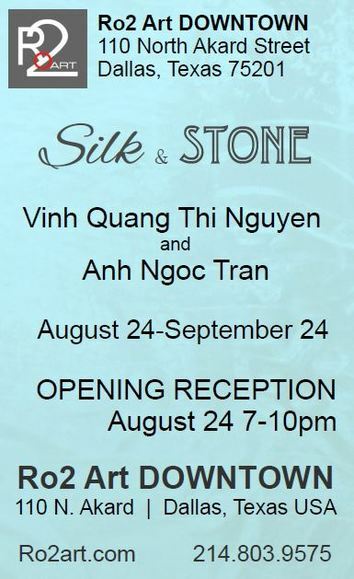 The Vietnamese natives have brought with them two very different time-honored traditions in art-making: Anh Tran primarily works in stone. His sculpture tends to reference modernist forms, easily co-mingling with lovely mid-20th century works by Henry Moore and Barbara Hepworth. Vinh Nguyen works as a painter in a decidedly spare, Eastern manner - making intriguing installations with raw silk. She has developed a unique way of working with a specific combination of textiles. Vinh's installed works, painted cloth surfaces that are then fabricated into wispy, floating enclosures, insist on a delicate balance of light and viewer perspective. 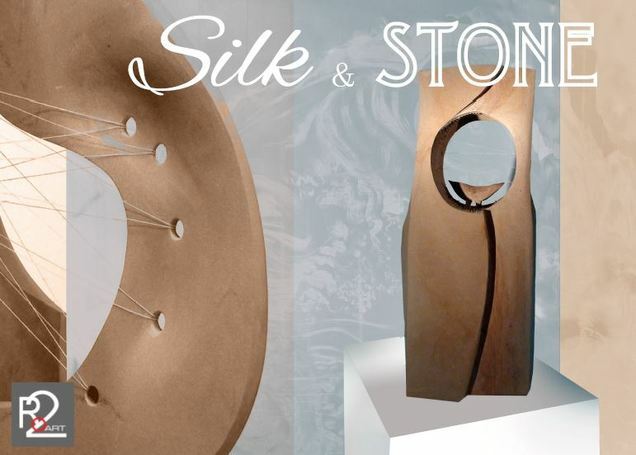 The contrasts and compliments of these two artists work side-by-side makes for a dynamic textural experience. “The artworks in Endless Cycle address the clinical nature of existence-perception of the cycle of life- birth, aging, mortality, and regeneration. This cycle, made up of repeated finite modules, is encountered in the whole of the known physical universe, whether microscopically or macroscopically. I seek to develop an innovative contemporary language that extends drawing and painting into the third dimension. Each composition is based on an abstract gesture drawing in three-dimensional space..."